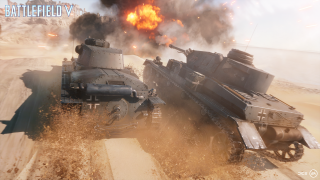 Here are five new things Battlefield veterans and newcomers can expect in Battlefield V.
Battlefield™ returns with its iconic blend of strategic squad play and massive destruction. Up to 64 players clash on both vast and close-quarter maps in a World War 2 setting like you’ve never seen before. Here are five features Battlefield veterans and newcomers are hurrying to play. Senior Producer Lars Gustavsson, affectionately known as “Mr. 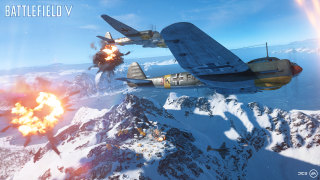 Battlefield,” said he and the rest of DICE have always wanted the series to return to WW2. But instead of revisiting the locations of Battlefield 1942™, they decided to explore other places, telling stories of the war that may be unfamiliar to players in both single-player and multiplayer. You’ll experience iconic WW2 elements such as paratroopers invading from the sky, tank shells clearing a fortified building of troops, and infantry defending a location to the last soldier, but on maps representing locations that were pivotal to the war, though somewhat forgotten over time. 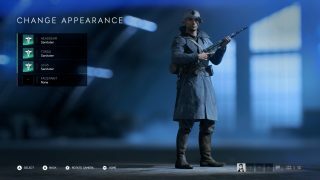 Remember Battlefield 1™’s Operations? Think that but bigger, packing a narrative experience into a combination of maps and modes, as played through up to four “days” worth of matches between two teams. Each day matters as match results will affect the conditions of the next day. This is the flagship Battlefield V™ multiplayer experience, incorporating rotations of each map with new and returning modes like Conquest, Airborne, Breakthrough, and Final Stand. Read more in our Grand Operations Overview. Soldiers, weapons, (and soon after launch) vehicles are open to a deeper level of visual and gameplay customization. 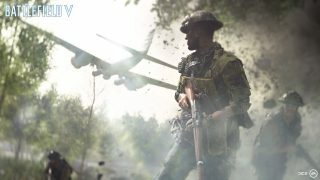 As you play, you’ll earn more ways to build a Company of your own -- the personal collection of soldiers, weapons, and vehicles that will grow and change throughout your time in Battlefield V.
From visual changes like soldiers’ headgear and weapon skins to loadout customization for each of the four Classes, you can make a name for yourself with your Company. 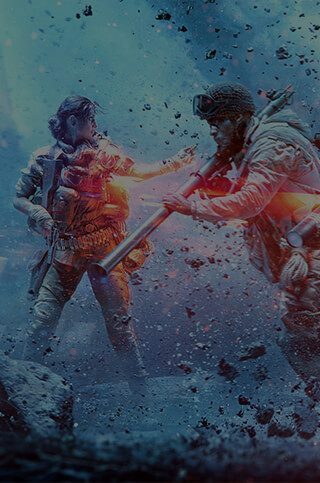 Still, Battlefield V is committed to the balanced rock-paper-scissors gameplay experience no matter the customizations. At launch, you get eight exciting game modes to play on eight maps with a bevy of weapons, vehicles, and gear. But launch is just the beginning of your Battlefield V experience. Tides of War is coming for all players – a live service journey through WW2 where every chapter brings a new battlefield. Where you aim is where you’ll shoot. If the wall is thin, you can hit whoever’s behind it. A rifle feels like a rifle and a shotgun feels like a shotgun. These are just a few weapon design changes waiting for you in Battlefield V. It’s all made possible by attention to gunplay systems such as muzzle velocity, bullet drop, rate of fire, drag coefficient, damage drop-off, base weapon damage, and spread and recoil. In short, gunplay has never felt so good.